Is the Car Park the New Rolls Royce of Assets? Historically, CBD and inner city car parking assets have been part of a little understood sector of the Melbourne market. Although rarely traded, they are now firmly in the sights of investors, both local and from off-shore, for their attributes of strong cash flow, low maintenance, zero vacancy and strong capital growth potential. An excellent example of the capital growth potential of CBD car parks is the double transaction of the 574 bay strata car park at 300 Flinders Street in Melbourne. It first sold in November 2011 for $28.2 million returning a net yield of 7.6% per annum, before reselling two years later in November 2013 for $40.0 million, a 42% increase in value in that time. In the past 12 months Savills has sold two large CBD car parking facilities, with both selling to offshore investors, one based in Malaysia the other from Mainland China. Click on the video link below to view Savills Head of City Sales & Investments VIC, Clinton Baxter, on Channel 9 speaking about the CBD car parking market. The attractions of car parks to off-shore buyers are obvious – relative ease of management and maintenance from afar, strong reliable rental returns of 6-8% net, and no ongoing capital and refurbishment requirements. With off-shore buyers typically being highly motivated and in a position to pay cash for such assets, local buyers find it difficult to compete. The fundamentals of the inner city car parking market are heavily weighted in favour of the car park owners and operators, and against the end customer. Since 1992 there have only been 4,220 off street car parks built in the CBD despite a huge influx of office workers, residents, students, shoppers and tourists over the same period. Previously, vacant development sites within the inner city have been utilised for open-air parking stations, however the apartment and education boom of the past decade has seen much of this land developed, the result being that many such car spaces have been removed, amounting to 1000’s of lost spaces. Furthermore, as land becomes scarce, freestanding car parking stations are now facing redevelopment to make way for larger buildings. For example, the Melbourne Central commercial car park at 250 La Trobe Street with 689 car bays is set to be demolished by its new Malaysian owners to make way for high rise buildings comprising approximately 1,000 apartments. Melbourne City Council is adopting numerous policies to direct traffic straight into commercial parking facilities to avoid circulation of cars within the city. It has removed many on-street car parking spaces to make way for bicycle lanes, loading zones and tram super-stops. It has also increasing meter rates to better reflect the pricing within off-street facilities, and has installed directional signage throughout the CBD; all designed to encourage drivers to enter a commercial car parking facility, thereby easing congestion. The product of such initiatives is that demand for car parking spaces is rapidly increasing leading to escalating car parking rates and ongoing increases in capital values. 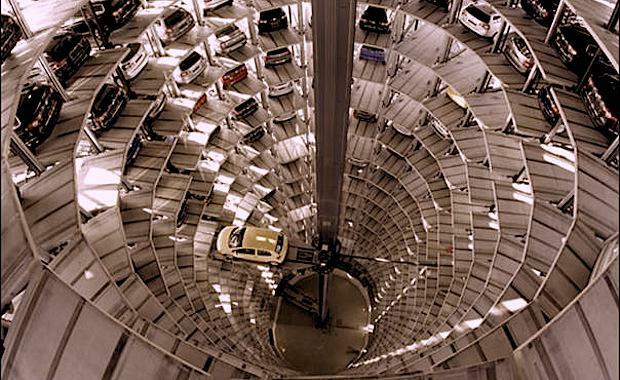 The case for investment in the car parking sector is compelling – zero vacancy, ease of management, extremely low maintenance costs, ever increasing demand for spaces and government policy aimed at limiting the construction of additional car parking the city. Clinton Baxter is the Head of City Sales and Investments, Victoria for Savills Australia.